Reports have circulated in arms control circles for almost 20 years that Israel secretly manufactured a stockpile of chemical and biological weapons to complement its nuclear arsenal. Much of the attention has been focused on the research and development work being conducted at the Israeli government's secretive Israel Institute for Biological Research at Ness Ziona, located 20 kilometers south of Tel Aviv. Indeed, according to the document, in 1982, spy satellites uncovered "a probable CW [chemical weapon] nerve agent production facility and a storage facility... at the Dimona Sensitive Storage Area in the Negev Desert. Other CW production is believed to exist within a well-developed Israeli chemical industry." 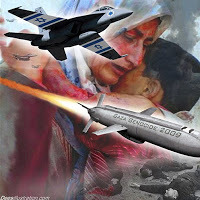 While we cannot confirm whether the Israelis possess lethal chemical agents several indicators lead us to believe that they have available to them at least persistent and nonpersistent nerve agents, a mustard agent, and several riot-control agents, marched with suitable delivery systems. The leak was based on an authorized off-the-record briefing of newspaper reporters by a senior CIA official in Washington, who intimated to the reporters that Israel was also involved in other activities involving weapons of mass destruction, but refused to say anything further on the subject. The CIA official was likely referring to the agency's belief that the Israelis may have conducted a chemical weapons test in January 1976. According to a declassified State Department cable, Israeli foreign minister Yigal Allon called in the U.S. ambassador to Israel and registered a strong protest about the story, reiterating the official Israeli government position that Israel did not possess nuclear weapons. After the protest, all further public mention of Israeli WMD activities ceased and the whole subject was quickly and quietly forgotten. Still, the CIA kept an eye on what Israel was actually testing and experimenting with in the wastelands of the Negev desert. What was described as a “probable CW nerve agent production facility and a storage facility” was suspected to actually be located at the Dimona Sensitive Storage Area." Yet the CIA report does not describe exactly where this facility is located. In fact, the list of Israeli usage of chemical weapons against Palestinians is quite long, going as far back as 1948 and as recently as at least 2004. Regardless of the lack of information surrounding the location of the weapons facility and the actual knowledge the CIA or other government agencies may have of the Israeli chemical weapons agenda, one thing is clear – there will be no red lines drawn in the sand over this particular program.